It is an exaggeration to say that most heroes in the Marvel Universe are Avengers. It is not an exaggeration to say that there are many Avengers, perhaps too many. Of all the heroes who call themselves Avengers who do you think would form the ideal team? Here is my take on what the best ever Avengers team would look like. At the core of my idea about the best ever Avengers team would be the the Big Three. The three most powerful Anvengers of all time would form the solid core of the team. IF Thor ever lost the hammer he would revert to his mortal form. But taking account of Thor without the hammer we still have a Hulk-class, nearly invulnerable powerhouse. 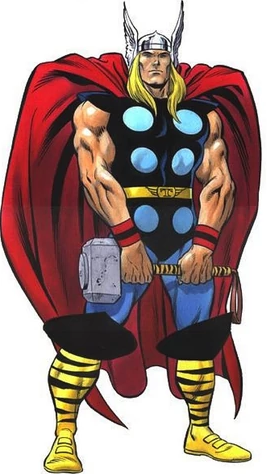 Add the mystical Uru Hammer Mjolnir, and we have a host of capabilities added to the already powerful Thor: energy blasts, an formidable shield created when twirling the hammer, long distance damage, and, before the hammer was depowered, even time travel. I would love to add that Thor Odinson also has great wisdom because of his centuries of life but all the centuries really didn't add up for Thor. He still behaves like the big kid with the powerful toys. Here I'm specifically referring to Tony Stark with the Mark V armor. Tony has no replacement for his ability to bankroll the Avengers and to provide them their technological tools. Whether we are talking about the old Avengers Mansion or Avengers Tower, that was Tony paying the bills. The Quinjets? Tony. The Avengers even had an allowance from Tony Stark. 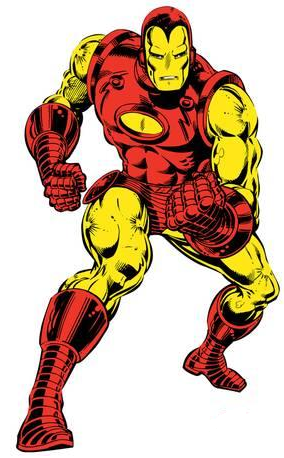 Then we have the Iron Man armor. Strength, toughness, energy protection and a varied raft of technological detection, offence and defence capabilities. Iron Man brings a lot to the Avengers picture, including, unfortunately, a weakness - Tony's alcoholism. This, by no means, is the only weakpoint in the team. 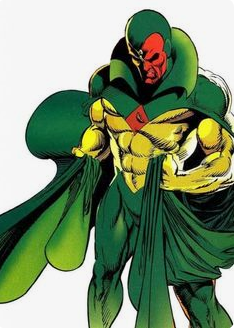 The Vision's list of capabilities is mind-boggling: the ability to control his density, making him super-heavy or intangible, strength and toughness from his android body, a computer mind, a heat ray (I know it's an Infinity Gem but Vision confines its use to a heat ray) and flight. The nearest comparison of the synthezoid Vision to other teams would be the JLA's Red Tornado and the Teen Titan's and JLA's Cyborg, but I think Vision trumps them in the power scale. Amazing as Captain America is, because this is the Avengers, he'll never make the top half of the team in terms of power levels. Add to that the fact of Steve Rogers not being a founding member - the original members found him much later. 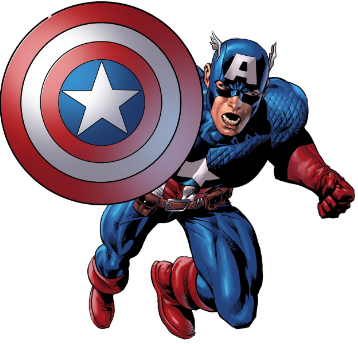 Captain America may not be part of the Big Three but he is central to the Avengers in terms of who they are as a team. Captain America is the soul of the Avengers. Defining not only their moral guiding points but there attitude during a battle and during times of peace. Captain America is also their natural leader. The best Avengers team cannot do without Cap directing both strategy and tactics. Surrounding the Big Three and Cap are the perfect support team of heroes. The Scarlet Witch isn't really a witch. She's a mutant. Her hex power isn't a mystical hex - it is a localized reality warping ability. The range of effects it makes possible makes her power akin to magic. It also makes her the team's swiss army knife - able to pull out a magic-like trick when needed. This is the one team inclusion that I had second thoughts about. Hank Pym's Yellowjacket had a serious inferiority complex about his intellectual prowess. Hank Pym is one of the smartest Marvel characters around but he gets intimidated by other intellectual powerhouses. In this particular team he'll mix it up with both Tony Stark and Hank McCoy- Marvel intellectual giants, so actions from Hank based on that insecurity might occur. 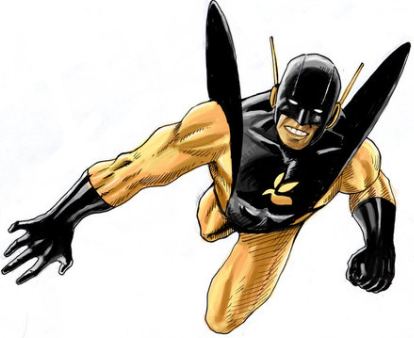 From the power standpoint Yellowjacket brings his stings and the ability to shrink making him an ideal stealth attacker and a spy. It is exactly the same power set that belongs to the Wasp. I chose him over her because of his smarts; both the Wasp and Yellowjacket technologies come from Hank. I believe Hank is in position to second Tony in terms of being the brains of the team. The Beast is a big joiner. Hank McCoy is an X-Man, a Defender, and an Avenger. 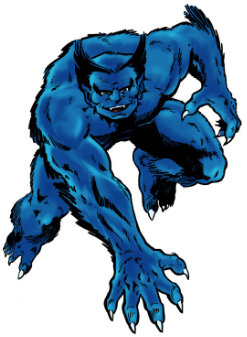 The Beast combines the strength and senses of a predator with one of the finest minds in the Marvel universe - and one of the gentlest souls. The Beast is stronger than a silverback gorilla. He has enhanced sight, hearing and smell. And he has a healing factor. He is agile enough to keep up with Spider-Man and like Spidey, he can crawl up walls. A super-strong, super-tough zombie who can fly (using a jet pack). Simon Williams was dead but now he's back. You would think that Simon would no longer be afraid of dying but that is not the case, Simon for all his super-strength and toughness is a bit of a reluctant combatant. Wary he may be but Simon has courage. Wonder Man's strength makes him a perfect backup for Thor in this team. The inclusion of Ms. Marvel puts her very near the Big Three in terms of power. 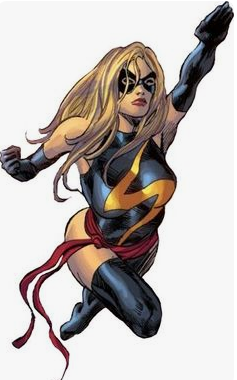 Strength, flight, invulnerability and energy blasts are all part of the Ms. Marvel power set. 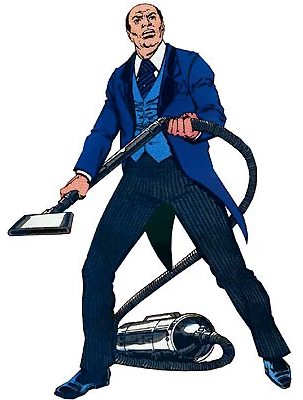 Jarvis not only takes care of the essential house management for the Avengers but he is a critical part of the teams ability to communicate and coordinate with each other. What? Jarvis isn't an Avenger? Of course he is. The Avengers would absolutely collapse without Jarvis. Thus his inclusion in this group. This is a strong team, a very strong team. If anybody, or any team, goes up against these Avengers bringing only pure strength or even energy to the table they would be hard put to win. Thor, Ms. Marvel, Wonder Man would be able to counter toe to toe. The Vision's defense is nearly insurmountable. Massive amounts of power isn't always needed. There are situations that can be classified as 'street'. The kind of situations that usually happen to Spider-Man and Daredevil. For this kind of work the team can fall back on a potent triumvirate: Captain America, Beast, and Yellowjacket. The technological brain trust of this team is equally formidable and again a triumvirate: Stark (Iron Man), Pym (Yellojacket) and McCoy (Beast). Two members of this team have a very high level of versatility: Iron Man and Scarlet Witch. The team has no immediate counter to a mystical attack. 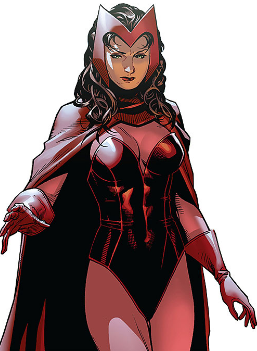 Scarlet Witch is not really a witch and, though Mjolnir is mystical, the effects that Thor can call up are limited. Psionic or mind-based attacks are even bigger concern unless McCoy can rig up some kind of doohickey which he has done before for the X-Men. On the personal aspect, Tony's alcoholism and Hank Pym's inferiority complex can be exploited. The first one that comes to mind is founding member Hulk. He can't be part of this team because he's usually out of control. It was a minor miracle for the Defenders to have kept him on their team for that long. Natalia Romanova, the Black Widow, is just too stealth and low-powered for the best Avengers team. I'd put the Black Widow with S.H.I.E.L.D. rather than with the Avengers. The Falcon does not have the power level to hang with this team. That said, the Falcon is a visually interesting character and he should have been given his own series a long time ago.